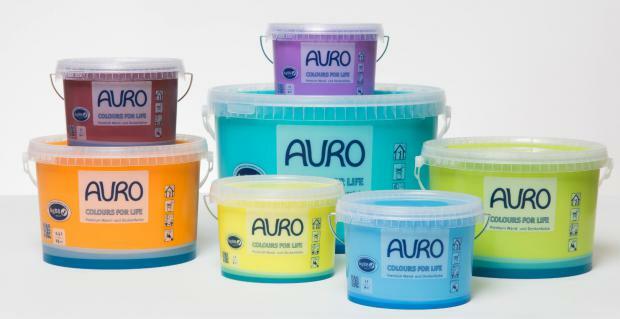 Ecological Building Systems are delighted to announce the launch of AURO COLOURS FOR LIFE range of ready mixed natural paint to the existing range of AURO natural products. Having worked in close partnership with AURO over the last 7 years this innovation truly puts natural paint on a level playing field with conventional paints. Paul McGovern (Technical Sales Executive) comments “Having worked in the paint industry for many years, it’s evident that people’s needs are changing. 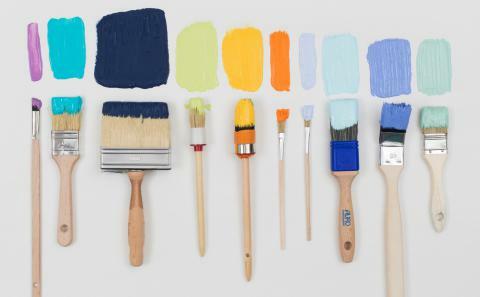 Homeowners are looking for a chemical free paint for living areas and bedrooms while architects are specifying natural paint for projects because they know what’s best for the building fabric and the occupant’s health. What is AURO COLOURS FOR LIFE? This marks a significant development in paint mixing technology, and is in fact, a world first in paint innovation. With the introduction of the AURO COLOURS FOR LIFE range Ecological Building Systems now proudly offer the largest range of ready mixed natural paint colours in Ireland. 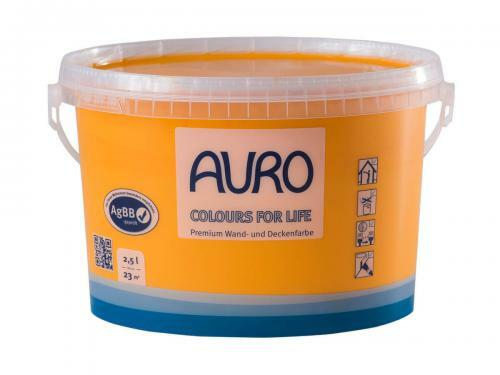 AURO COLOUR FOR LIFE wall paint is an emission-free and ecological wall paint, tinted with ecological colour pastes. Households across Ireland can choose from 790 natural colours and have the ready mixed natural paint delivered to their door with a FREE nationwide delivery service. As Ireland moves to nZEB levels of building performance and we begin to see a transition to a more circular economy, environmentally friendly products have become indispensable. Consequently, more and more homeowners are opting for products which contain no harmful toxins and do not put their families at risk of harmful indoor pollutants. On average we spend 90% of our time in closed rooms, therefore the quality of our indoor air in critically important. The list of possible health conditions due to indoor toxins is long, ranging from headaches and fatigue to skin irritations or respiratory problems. Doctors refer to this as the so-called Sick Building Syndrome (SBS). AURO COLOUR FOR LIFE natural paint contains no VOC’s, formaldehyde or harmful chemical and AURO provide full transparency of ingredients. How to use a natural paint? Do I have to compromise on colour with a natural paint? AURO natural paint is also vegan friendly and has been recommended as suitable for allergy suffers due to its gentle chemistry approach and full transparency of ingredients. For further information please visit www.ecologicalbuildingsystems.com or contact us on info@auropaints.ie or call Paul on 046-9432104. Full colour swatches also available.